Writing to an image, especially a painting, helps me find inspiration. Ekphrasis, from ancient Greek, is a description of a visual work of art. Usually, ekphrastic poetry describes a painting, but some poems might enter a film or a sculpture. Recent MacArthur Genius grant winner Terrance Hayes has a 20-part poem titled “Arbor for Butch,” written to a sculpture series by Martin Puryear. Hayes also experiments with form in this poem, as it is a pecha kucha. The surreal paintings of Mexican artists Remedios Varo and Leonora Carrington have sparked my creativity. 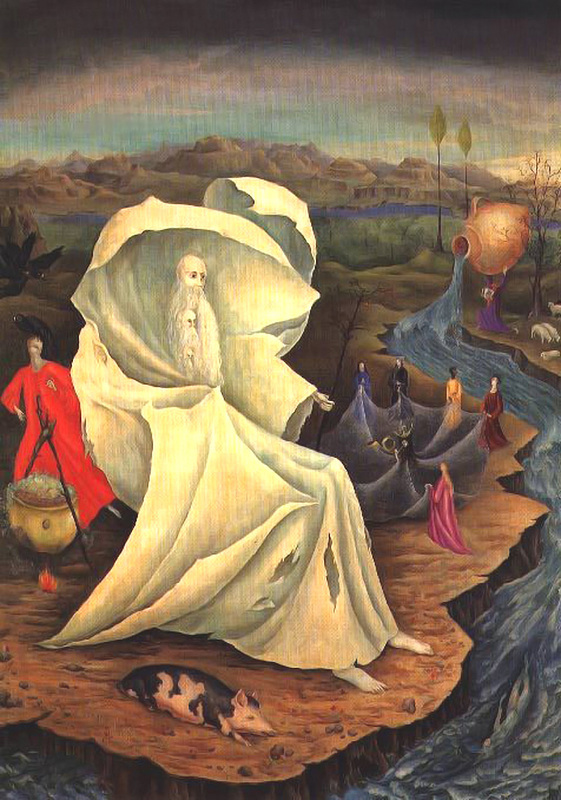 My most recent ekphrastic poem, “The Women Have Gathered to Welcome Him Back to Himself,” explores a painting by Leonora Carrington titled The Temptation of St. Anthony. I’m pleased and honored that the journal Ekphrasis chose to publish this poem in their Fall/Winter 2014 issue, and that they have nominated it for a Pushcart Prize. St. Anthony lives on through poetry!